Storyteller | Pei-Ru Ko | ’09 – How'd You Get There? What would you do if you woke up tomorrow unable to get out of bed, incapable of going to work, and faced with no timetable for a recovery? After graduating from Williams in the spring of 2009, Pei-Ru Ko went home to Taiwan determined to make a difference. In many ways she had been a classic Williams success story. She served as a JA, wrote for the Record, and left Williams accomplished, prepared, and excited to take on the next stage of life. A few weeks later, Ko convinced a handful of students to gather on the second floor of Paresky to listen as one student talked about her life. Storytime was born and is now a cherished Williams tradition, where every Sunday night a member of the Williams community tells his or her life story to a large and eager audience. It took a year for Ko’s health to improve at all. On a trip to the States, she encountered a chef who only cooked with food free of preservatives and chemical additives. After a few days of his cooking, she felt a little better. Where drug after drug had failed, real food seemed to be working. 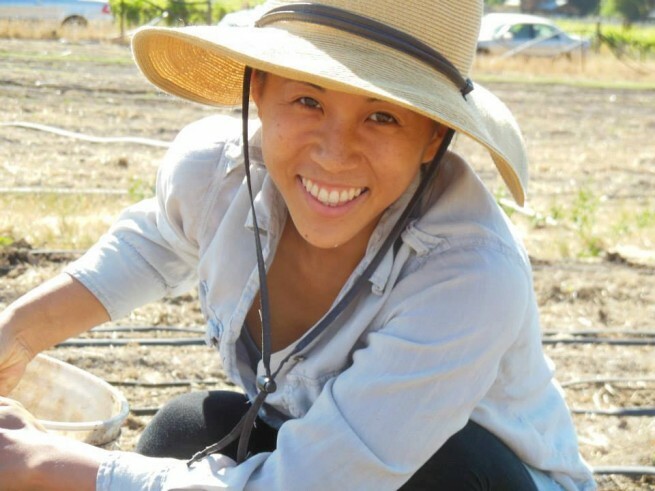 Enthused by her discovery, Ko enrolled at a culinary school in Berkeley that focused on therapeutic cooking. Ko volunteered at many organizations, mostly food-related, in the Bay Area. She met farmers and organizers and learned about the food process and the plight of small growers. “It’s only in the last eight months, as I’ve started to feel a little better, that I’ve realized I have been living over the past four years. I wasn’t taking a break. You can learn more about Real Food Real Stories at realfoodrealstories.org.